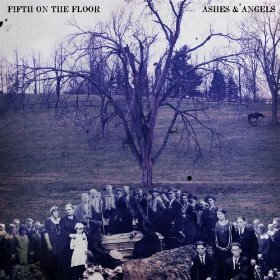 Hall of the Mountain King: Review: Fifth on the Floor, "Ashes & Angels"
First single “January in Louisiana” visits some very classic country music territory with a tale of revenge and the consequences. After catching his cheating wife, the subject of the song takes care of the problem with his pistol and finds himself in a jail cell reflecting on what happened and what he’s done. The dark number, filled with equal amounts of sorrow, rage and acceptance of his fate, is one of my favorites on the album. The recently released video, from Blake Judd, who also shot the clip for “Distant Memory Lane” from Dark and Bloody Ground, is just as powerful as the song. Rowdiness plays a big role on this record, but there are also some slower, more reflective moments. One of my favorite tunes from Dark and Bloody Ground was “The Fall,” and a big reason for that was the soulful Motown-influenced vocal line of Wells. On Ashes & Angels, it’s Parsons that delivers that moment on “Angels in the Snow,” a very classic country tune that’s given a different flavor by his vocal line. There’s plenty of grit and feeling behind the power-packed performance that might be the strongest vocal moment on the record. Wells relinquishes the microphone again on another classic country moment, “Wine.” This time he gives it to guest vocalist Rachel Brooke, who also happens to be one of my favorite female vocalists of the current generation. She has a very classic female country voice, mixed with just a bit of the sultry chanteuse, and she’s perfect for the sad lament of this song. A big, Bob Dylan-esque harmonica line sets “What For” apart from similar family ballads. It’s at heart a fairly simple song, but very layered with lots of subtle things going on. Of course, for every heartfelt moment on a Southern rock record, you’ve got to have two energetic rocking ones. The funky “Wild Child,” I think, counts for at least three or four by itself. It’s a big 1970s-rock influenced groover. Parsons’ bass lays the backbone for the tune, and Wells’ nasty vocal performance gets accompaniment from some dramatic organ flourishes and wah-wah guitar. It’s another one of those down and dirty moments that shows a different side of the band. And the record closes with “One Big Holiday,” which opens with another thumping bass line from Parsons before guitars kick in on a building theme that’s a little similar to “January in Louisiana.” After that build-up, though, it falls out to Wells and an acoustic for a surprisingly sad and somber tone considering the opening. There’s also the big Southern rock finish that Fifth on the Floor is fond of delivering, but it’s made a little more interesting by a squealing fiddle piece to go with the guitars. Ashes & Angels cements what Dark and Bloody Ground proved: that these boys from Kentucky are one of the best things going in the genre today. 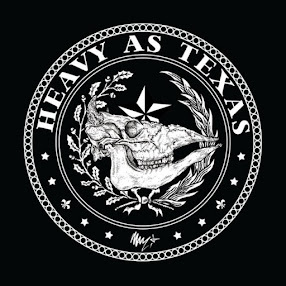 It’s a shame that more people aren’t familiar with them because I can guarantee there’s not an old fan of Skynyrd, the Allmans or Elvin Bishop that wouldn’t stand up and pay attention if they had a chance to hear these guys. If you’re looking for the future of Southern rock, look no further than Fifth on the Floor.